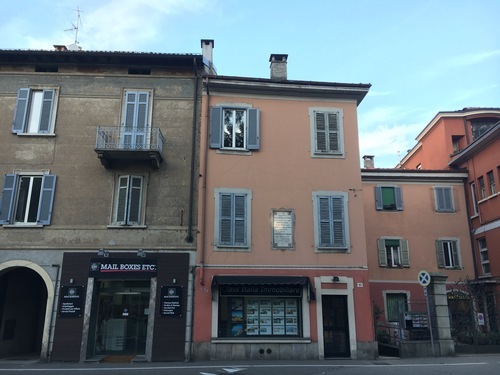 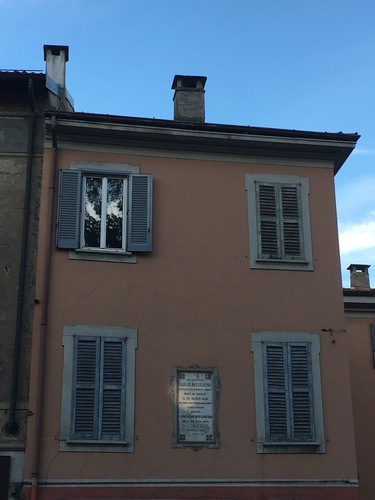 This is the house owned by the ancestors of Giulio Bizzozero, pioneer of Italian histology, in Varese (Via Giulio Bizzozero, 11), and the place where he was born in 1846. His memorial tablet was collocated in 1902 on the front side of the house and reads and follows: "PER RICORDARE / GIULIO BIZZOZERO / PATOLOGO E IGENISTA SOMMO / NATO IN VARESE / IL 20 MARZO 1846 / NEL PRIMO ANNIVERSARIO DELLA SUA MORTE / I CONCITTADINI / AUSPICE / L'ASSOCIAZIONE MEDICA VARESINA / SULLA CASA AVITA / 8 APRILE 1902". 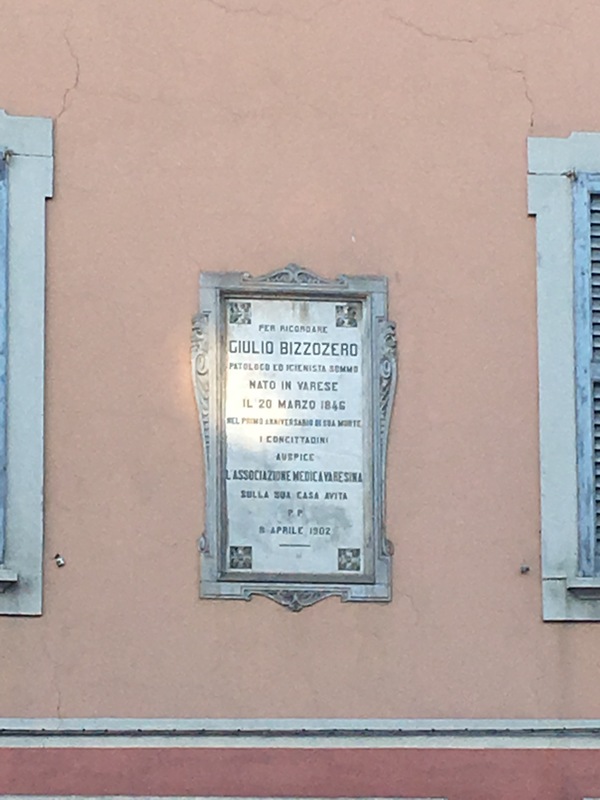 ("To remember Giulio Bizzozero, pathologist and hygienist, born in Varese on 20th March in 1846, on the first anniversary of his death, fellow citizens, promoter, the medical association of Varese, on his ancestral home, 8th April 1902."